On July 31, 1987, the most destructive F4 tornado in Canada’s history ripped through Edmonton, Alberta, killing 27 people and causing more than $300m (€258m) of damage. Twelve-year-old Dan Leckelt and his 10-year-old brother, Lindsey, were in a movie theatre when the lights went out. “Everyone rushed into the lobby and we heard there had been a tornado,” Dan recalled. “When we went outside, our mum was soaking wet and told us the business was gone.” When the brothers returned to their parents’ sheet metal contracting business, the destruction that the tornado had caused was unimaginable. “We were forced to move into a smaller location, but we still had to go back for weeks and pick through all the debris and salvage what we could,” said Dan. 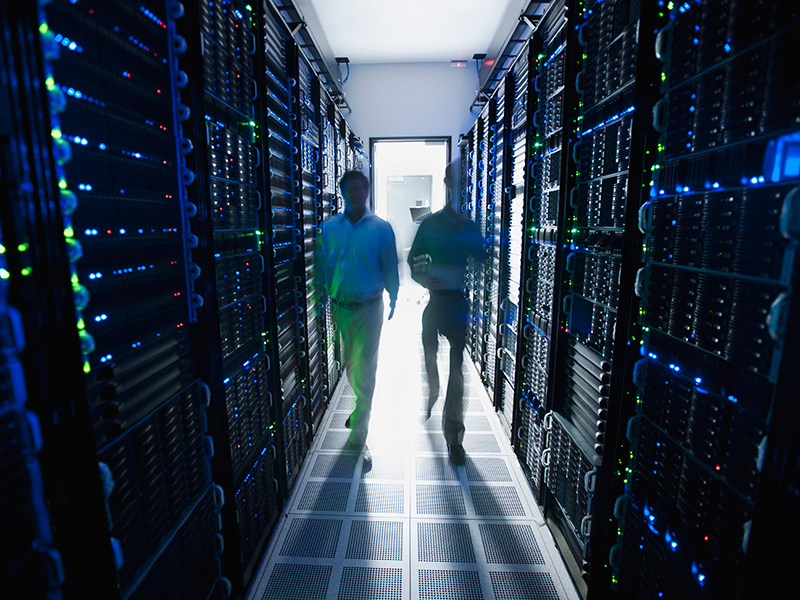 This experience had a profound impact on the brothers and how they built their business, Silent-Aire, into a global, industry-leading modular data centre and cooling manufacturer for the world’s largest cloud and hyperscale data centre providers. Ironically, it was the power and movement of air that almost ruined the company back in 1987. But, 30 years on, Dan and Lindsey have built a company based on those very same principles. “We have a great appreciation and passion for engineering solutions that have been embraced by our clients,” Lindsey said. “We both went to engineering school at the University of Alberta,” Dan said. “I became a civil engineer and Lindsey a mechanical engineer.” The Leckelt brothers had plans to get into the family business as soon as they left university. “I was one year ahead of Lindsey, and took that year to play semi-professional hockey in the US,” Dan said. Both Dan and Lindsey played ice hockey growing up, continued to play through university, and still play today. “We both played hockey for the Stony Plain Eagles while we were building Silent-Aire,” Dan said. “The Eagles became our second family and a form of stress release from the all-consuming challenges of being an entrepreneur.” In 1999, the Eagles won the Allan Cup National Championship, the highest level trophy for senior amateur ice hockey in Canada. Reflecting on how the game has influenced the business, Lindsey explained: “Hockey has taught us leadership skills, how to build successful teams and the importance of having strong relationships and a network of people that we still work with today at Silent-Aire. Hockey is truly a team game; everybody has a role to play, everyone must contribute and trust each other. The Leckelt brothers have come full circle with ice hockey, and are now owners of the Eagles, Spruce Grove Junior Saints and the Seattle Thunderbirds. “Seattle has been a hub for Silent-Aire for 15 years and we wanted to be more involved in the communities we work in,” Lindsey said. The growth of Silent-Aire has resulted in Dan and Lindsey expanding their leadership team. “We decided to increase the number of VPs four years ago and have tried to instil in them the same leadership culture that we believe in,” Dan said. Global expansion was part of the brothers’ long-term strategy, and in 2017, Silent-Aire Europe was launched through the acquisition of RMI Engineering in Dublin. 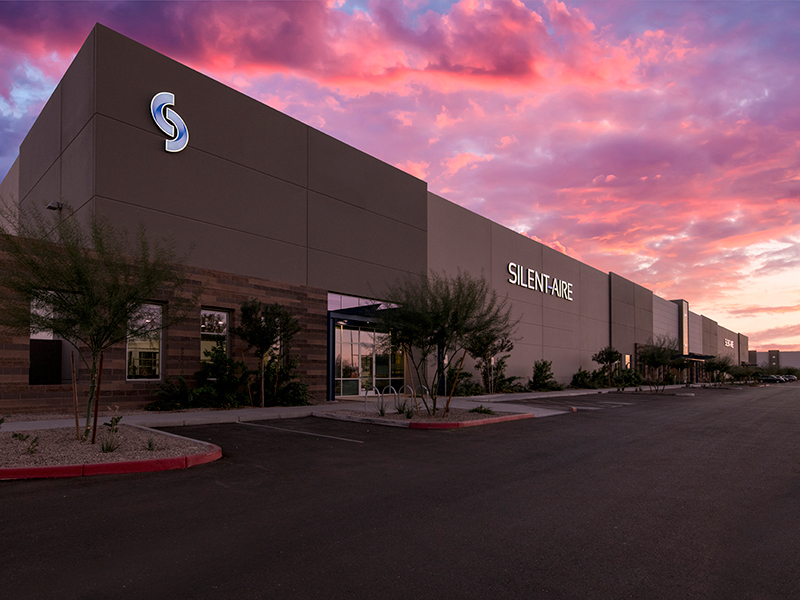 “Dan and I discussed all our options to accelerate Silent-Aire’s capabilities, improve delivery times and optimise costs in Europe,” Lindsey said. “We made the decision to acquire instead of build, because we recognised the value of the infrastructure, employees and relationships that RMI had in Europe. Dan agreed: “In the US we decided to build Silent-Aire organically. We started off with three employees in 2012, and have since grown to over 300. Managing this growth was complex, but we had experience from building our head office in Edmonton. We recognised the importance of business continuity, and having two manufacturing facilities in Edmonton and Gilbert that mirror each other was part of that. Instilling the company’s mission of continuous improvement is an ongoing effort. “Our customers are in mission-critical services; they must always be operational,” Lindsey said. The Leckelt brothers have learned many lessons over the years, but the most consistent message they talk about is resilience and problem solving. “When our parents’ business was wiped out, we learned how much drive and hard work is needed to survive, recover and succeed,” Dan said.